So I had an installer put the equipment in. I have access to it, but I'm not sure how to check for upgrades. 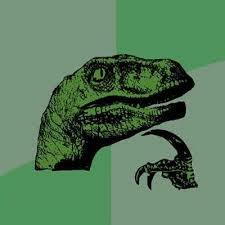 Do I do it within the application interface? I'm sure I could Google it, but I'm afraid to mess it up since it is currently working. Don't worry, just give their asses a call. They should be providing you with these updates for free. Best keep it in email so you have documentation. You should be able to upgrade the firmware via the console interface, if not via the app. I've been finding 4k cameras for less than 200 a piece so now I'm looking to upgrade or just upgrade a single nvr to 4k and buy 4 additional 4k ip cameras. Gonna be fun. Looking at a dahua and a hikvision. haha, can you do two way audio? Give them a guided tour. Shamoo, any updates? System working well? Any additional thoughts? I'll prob buy the same system as you. I know I want NVR PoE, but it seems like everything is china made and rebranded, so I might as well go with hikvision if you are happy with it. Some **** is letting their dog **** in my yard, and I'm going to put up cameras to catch them (oh, and for security). Yes, the system is working very well. I haven't looked at this thread in a while, but if I haven't mentioned it, I highly recommend buying/installing things yourself. Or at least buying the equipment yourself since the contractors will charge you a lot more. 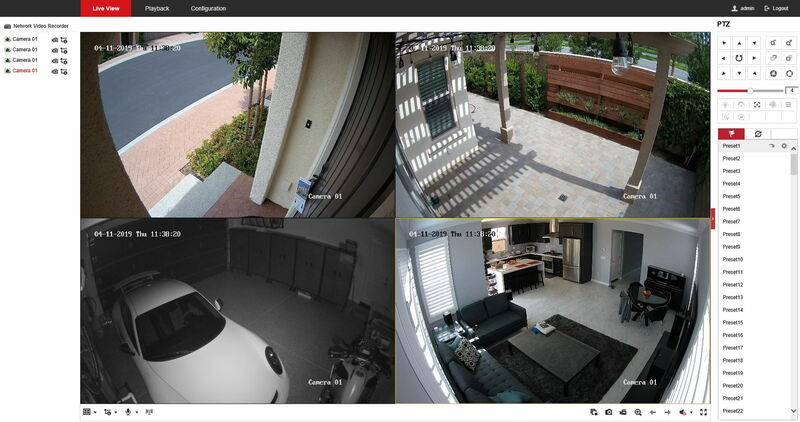 I have HIKVision PoE cameras which are rated higher than most, but there are others out there. There are some basic port forwarding settings you'll need to do on your router to monitor from outside your network, but that isn't too tough. The actual software is wonky, so I recommend just using the web interface. Remember these aren't like those quick and easy wifi deals like Arlo, Nest, etc. These run 24/7 and save when there's motion. That way you don't miss anything. With an Arlo/Nest/Ring I can quickly run to your doorstep, take your package, and run away. Those systems will capture a video of my *** running away. Systems like mine you can set to save the recording BEFORE motion starts to AFTER it ends. This is the web interface and I'm in my office 50 miles away right now. Full control of the settings/cameras. I am buying another camera (wireless) which I can easily add to the system. And a 4MP image ends up pretty good if you zoom in. HT downsized the image too. It is much bigger than what you see on the screen (but same amount of detail). Keep in mind that there are specific types of cameras if you're looking to view license plates from further away and these cameras aren't it. They do cost more and look like actual CCTVs where they "point" to something. If you're pointing one of these out to your street, you won't know what the license plate characters are, but you can definitely tell the make/model. I'd like to see how much you get when you sell the place. Your upgrades should net you some more dough. **** this hoa design. I hope so. There are some selling already for like $900-930ish, but mine has better interior options. I bought it for way less so that's pretty good. The market has softened a little over the last year and new home purchases have slowed. Pricing is starting to level off and drop a tiny bit. The models sold for $935K about 8 months ago lols. But that's expected since they up the price of the models like $100K since they give you everything including the furniture and the already completed backyard. It is a pain so I just left it. 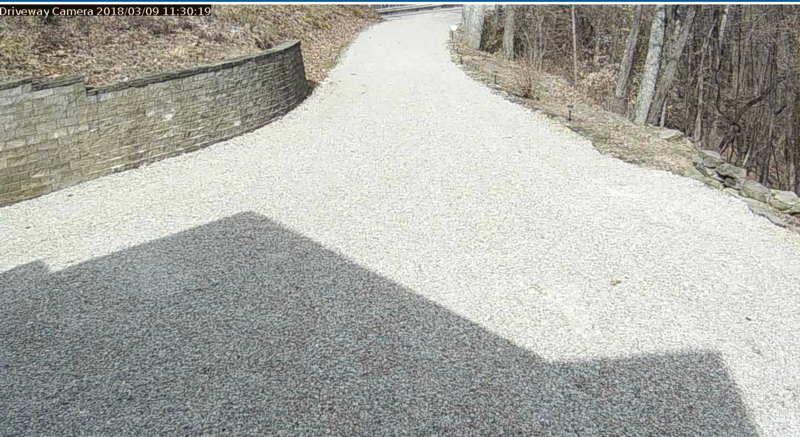 I only have 5 cameras at the moment so it is pretty easy to tell where each one is. At least your wall looks better than trumps. If walls dont work why does shamoo have one? Thanks. Yea, for sure I'll buy myself and install myself. Was just curious if you had any issues since install, and sounds like you haven't. I'm not really interested in wifi cameras at all, and setting up a more sophisticated system doesn't really scare me off. 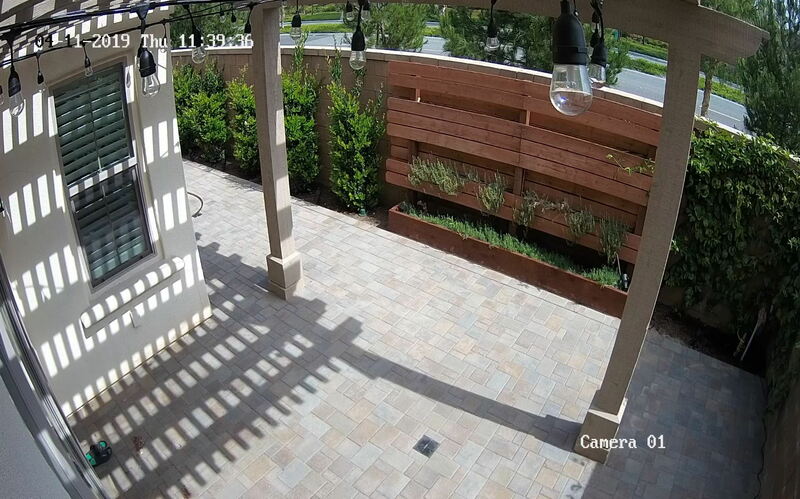 Are you able to continuously record rather than use motion detection? That's really what I'm looking for. No issues at all. The software was a bit wonky and hard to get used to, but you can just use the web version instead. One of the backyard cameras wasn't sealed nicely and water got in, damaging the RJ-45 plug. Replaced it and it was fine. 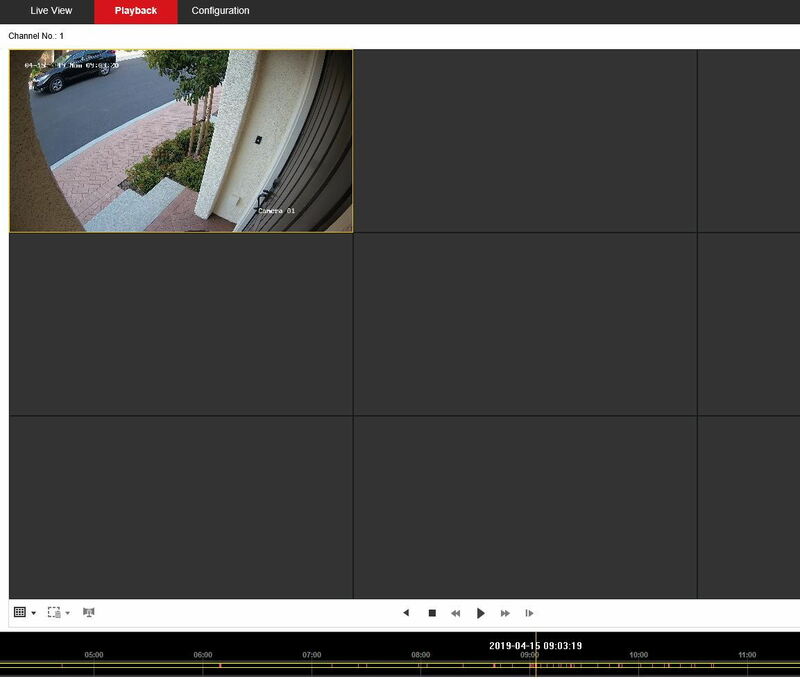 When I said "wifi", I actually mean HIKVision makes a wifi camera as well which hooks into their NVR system. So if you wanted to add one in a weird place where you can't get wiring, you can use that. It looks exactly the same as one of their "standard" dome cameras. Yes, you can set it to continuously record, but honestly I don't think that is useful since it'll fill up your storage too quick. Most of the time, it is just looking at a static view (e.g. : inside your house when you're at work) so it is a waste of space. You really only want to record when there's motion (and a little before/after, which the system can do). Remember, you're looking at 4MP recording on multiple cameras. That's a lot of storage. But yes, you can set it up that way. Cool, thanks. Yea, true enough, I'll probably end up using motion detector for storage reasons. Hm, wifi camera (in that context) may be useful - I was looking at mounting points, and one of them has to go around a chimney, which I don't want to run conduit for (it would look ugly). However, it is something like 25 feet up, and outside - I'm not sure if my wifi signal would work, lol. Here's a quick view of the Playback feature using the web interface from an external network. This is my front door cam. On the bottom is a timetable where the little red/orange areas (I know it is small in this screenshot) are where the system saw motion and marked it. You can go directly to those areas and watch the video. 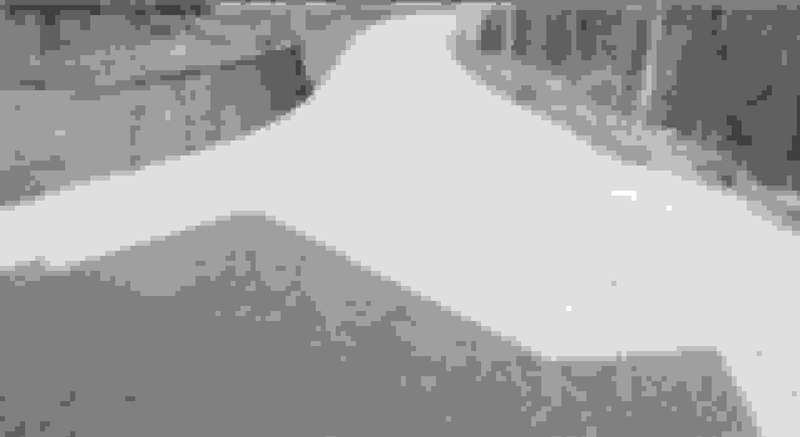 One of the examples shows a car driving by. I was able to see 10 seconds BEFORE the car came and 10 seconds after it left the view. You can also customize the motion detection area. I blocked out the little tree here since the wind moves it around and will cause it to record all the time. You definitely have to fine tune your setup once you put everything together and start running it. Do you have a camera in your rat village? Lols no, but I'm thinking of setting one up. I spent a couple of hours with my wife yesterday cleaning out a bunch of stuff. Found 4 dead rats under the shed along with a ton of leaves/rat poop/trash. Was pretty satisfying using the shop vac on that stuff. Came out this morning, and a bunch of leaves were back. Ugh. EDIT: I had a camera there actually, but my neighbor asked if I could take it down since it could potentially look into his home. Wanted to be neighborly so I just took it down since I have other cameras. Looking for a better solution for that area. Why do you have a camera INSIDE the house?